From DNA Profiling to HCG Diet Supplementation. We Are Your Resource! Here at Success Weightloss Systems we want you to know that you are not alone! Your HCG diet journey is important to us and there are many resources that you can use to help you along your path to a better, fitter you using HCG! 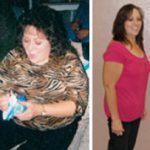 Just click on the links below to find out more about how Success Weightloss Systems in New Mexico helps you with your HCG journey and contact us for your FREE Consultation. 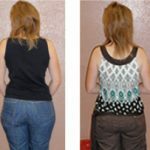 Your HCG diet program is tailor made specifically for you! While we all work together to improve your diet, we also work to identify nutritional deficiencies that need to be addressed with our specialized supplements. 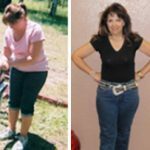 By working to identify and rectify these challenges, we often make significant strides in regards to improving your weight loss results and overall well being! ​Our highly trained staff is committed to your success and will make every effort to provide you with the all the service, support and expertise you require to experience the best possible weight loss results. The majority of our clients come to us with numerous challenges; sugar cravings, insomnia, insulin resistance, stress, and excessive hunger to name but a few. These issues and many more will be addressed as they progress though our program. Bottom-line, we want you to lose weight and feel great! It’s essential to your motivation, your ability to stay on track, and to your physicality. Success Weightloss Systems utilizes professional grade supplements from a wide array of pharmaceutical manufacturers. Each and everyone of them have been utilized by our staff and ultimately tested in the real world by our clientele. We do our homework to insure that you receive the best products, from cutting edge manufacturers that adhere to GPP guidelines. The best part, we provide you with the recommended sample supplements free of charge; so we can figure out what actually works for you on our dime, not yours! There are three types of muscle fiber present in voluntary muscle tissue (the muscle fibers to move the skeleton). 1: Fast-twitch fiber 2: Medium-twitch fiber 3: Slow-twitch fiber. Muscle fibers are highly plastic – in other words, they can alter their characteristics according to the type of exercise you perform. This means you can make all of these muscle fibers work to help you mold your physique. Fast-twitch fiber: the strength muscle- When you swing a golf club, lift a weight, throw a ball or sprint, you recruit fast-twitch fibers. These fibers contract quickly, providing short bursts of energy required for explosive movements. This type of muscle fiber does NOT burn fat. Instead, the primary energy source for fast-twitch muscle fibers is blood sugar stored in the muscle cells themselves, as well as in the blood and liver. The fast twitch muscle fiber is a strength muscle, this energy source is quickly depleted, which is why a sprinter must rest after 50 to 100 yards and a bodybuilder must rest between each set. In fact a fast-twitch muscle fiber will give out after 30 to 60 seconds of continuous contraction. This is not the muscle fiber you want to call on to lose fat or get any type of endurance energy. Medium Twitch-Fibers: the everyday muscle- This is very similar to fast-twitch fiber, in that it is also involved in explosive types of activity. However it is also capable of longer periods of activity. It doesn’t have quite the strength capacity of the fast-twitch fiber. When you use many of the cardio machines in the gym, take aerobics classes, or play basketball, you’re using medium-twitch fibers. Medium-twitch fiber burns sugar: it does NOT burn fat. Medium-twitch fiber can be developed through resistance-training and body-sculpting exercises. Slow Twitch-Fibers: the fat burning muscle- For fat burning, slow-twitch fiber takes on a more dominant role. This is the kind of exercise you should do while on HCG. This type of fiber gets most of its energy from burning fat for fuel, in conjunction with oxygen, contracting very slowly but having the ability to endure over extended periods of activity. Slow-twitch fiber is very fatigue-resistant. This fiber has only a limited ability to increase in size, and as such little, if any muscular growth can take place. They utilize body fat as fuel, burning it during a process known as the Krebs cycle. Through the Krebs cycle, your body metabolizes fat into energy. Basically, the goal in long, slow, distance exercise is to use as much slow-twitch fiber as possible, for as long as possible, so you can accelerate the rate at which your body burns fat. Walking, running and cardio with no resistance are slow Twitch-Fiber exercise that will be fine to participate in while on HCG. At Success Weightloss Systems in Albuquerque, we use DNA Profiling as one of our tools to help you be a healthier, fitter you! We are the only weight loss company in New Mexico that uses DNA profiling! There are two options that we offer to our customers for getting your DNA profile. The first option is a questionnaire developed by our HCG diet staff. We have designed this survey of questions to narrow down your DNA markers so that we know what your body needs to be balanced and healthy. The second option is a cheek swab of epethelial cheek cells which will be sent to the University of Massachusetts for a complete DNA breakdown that is extremely thorough. Each option provides you with all the information that we will need to tailor make your program to optimize health benefits and weight loss for you! Contact us to for your free consultation. Along with a full DNA profile, we also use your blood type to develop your diet. You may have heard of the benefits of the Blood Type Diet. We have taken the parts of that diet that produced the greatest benefits and created an additional tool to aid in your weight loss and well-being. Because your blood type relates to your ancestral biology, we can take advantage of the epigenetics and use it to develop a specialized diet comprised of proteins best utilized by your specific body. This allows you to reap the maximum benefits from the proteins you eat. Our goal; focus on the proteins your body was made to process, and eliminate proteins that tend to create inflammation.